Retreats allow organizations to develop or review their mandate. To this effect, Connected Development (CODE) organized a 3 (three) day retreat from August 20 to 22, 2017 for members of the organization. This retreat is the first of its kind in the organisation. It was organized to encourage team bonding and establish the strategy for scaling the organization’s Follow The Money project. But how do you strategize with Baboons, Warthogs, and Waterbuck flocking around your living area? Not to forget, this happened in a Games Reserve. Does this mean we can as well learn from how animals bond with themselves? Yes, we did, no thanks to the morning drills led by Anthony Agbor, one of the trustees at CODE, who mimicked the team building exercises to reflect people – people interactions, and interpersonal respect for nature. And talking about life, the underground water challenge won by Michael Etta, will ever live in the memories of everyone that swam in the Wiki Warm Springs. It actually allowed us to understand that there are some people amidst us, that were aquaphobic, while some broke that jinx at the spring. Amidst the play and excitement, we had two presentation sessions focused on establishing the mandate of the organization, while the second was on Personality and Character Reformation. 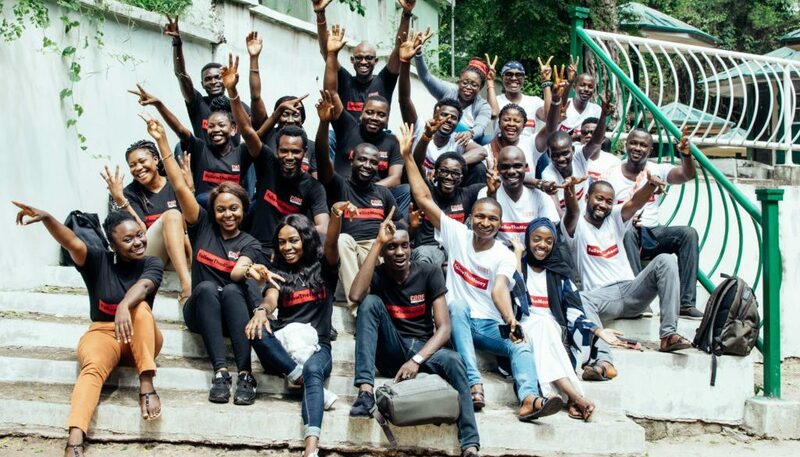 The first session led by Oludotun Babayemi reiterated CODE’s mission as is empowering marginalized while- envisioning a world where everyone, even in remote part of the world can hold their government accountable was agreed as the organization’s vision. Second Session was led by Anthony on personality development. Tony stated that the title of his session was bore out of the fact that everyone’s expectation from the retreat is bonding, He noted that understanding oneself and others will help us connect with the mission and vision statement of CODE, like he said ‘I am built to shape people and to build communities’, therefore if you identify with yourself and know who you are, people will definitely look for you. He went further to say that the retreat therefore provided us with the atmosphere to think because if you cannot think you cannot take action or your actions will be limited, we here at CODE are looking at how to help marginalised communities, we are not the marginalised but we think on how to help those that are marginalised. The culture of follow the money is born out of passion, We are who we are because of what we think and as such every human being is an architect of his/her society therefore our society now is CODE, we have to study how CODE works, the word for a true society is ‘’Unity in Diversity’’ this means our little contribution can stabilise a society, the beauty we have as a people is our unique attribute. People who are recognised are people who stood firmly on what they believe in, and that is what CODE is asking for, so that we can stand on the 3R’s (Recognition, Respect and Reputation). The community feedback session led by Halima Baba, another trustee, involved team members talking about their experience, lessons learnt, and recommendations. ‘I use to think retreat are only for board members, management team and the Chief Executive Officer (CEO), but it was a rare privilege to interact with the board members’ bonding with people from different part of the country and religion, coming together to establish the mission and vision of the organisation while resolving to uphold the CODE culture, but most importantly act as a family. For me, It was an amazing experience that renewed the passion for the CODE culture. Likewise bonding with the board members, and every other staff, just like everyone did, reinvigorated my understanding of unique personality traits. This is one retreat that the memories will remain fresh in the mind of all that attended. Why we are Celebrating Five years of Existence: The Now and The Future! The Nigerian Youth SDGs Forum, Abuja.